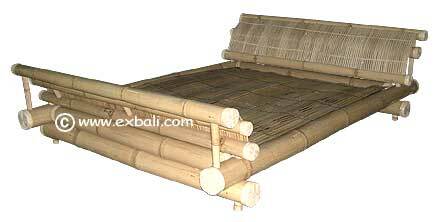 including Bamboo Beds, Bamboo Tables, Bedroom Furnishings, Bamboo Bedroom decor, Bamboo side tables, Mirrors and dressers. 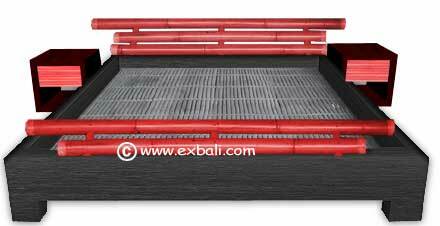 EXBALI BAMBOO BEDS are constructed from the highest quality dried bamboo poles of various diameters .Our Bamboo beds and bamboo products are extremely durable and treated for termite infestation, Bamboo beds are knockdown construction for efficient shipping and are easily reassembled at your location with supplied printed instruction sheet. 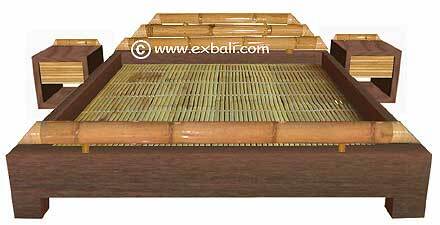 All Bamboo Designs can be custom made to order outside of the standard dimensions shown. 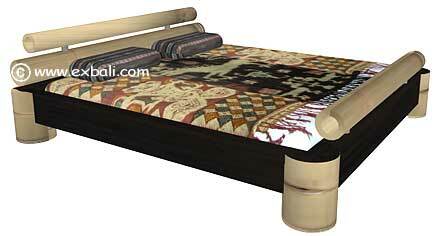 Available in King -Queen Size.